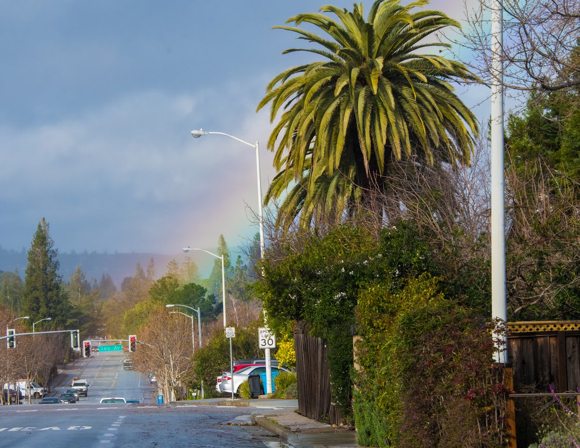 For the last 24 hours, we’ve had periods of both rain and sunshine in Menlo Park. That led photographer Robb Most out on a rainbow hunt, so to speak. We feature two of his shots here. We particularly like the one below that looks like it’s ending smack dab on the Alameda near Dutch Goose.